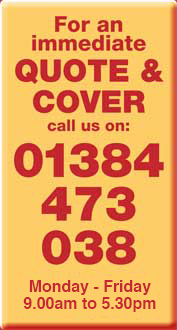 About us - Find out more about CaterNsure & our catering insurance. Our catering insurance policies are backed by leading UK insurance providers who offer competitive premiums excellent customer service and first class claims handling. CaterNsure offer insurance policies specifically written for caterers. If you require catering van insurance; ice cream van insurance; caterers liability insurance; burger van insurance; catering unit insurance; mobile catering van insurance; baked potato oven buffet caterer cake maker chocolate fountain mobile coffee rounds sandwich rounds jiffy van hog roast barbecue in fact any mobile caterer outside or contract caterer catering van catering trailers or coffee vans then we can help. We also serve catering companies working on location and party catering companies with specialist equipment such as chocolate fountains, food sculptures and ice sculptures. Find out more about catering from https://www.ncass.org.uk/.